When the error light shines, the content of PLC user program is changed due to external reasons: the voltage drop of lithium battery, the influence of external interference and the internal failure of PLC, and the grammatical error of the writing program will make it shine. When the error lamp is steady, it indicates that the CPU running out of control or the scan period exceeds the warning timer constant value set in d8000. This reason may be caused by external interference and internal failure of PLC. This entry was posted in plc program and tagged plc basics on October 12, 2017 by arco. Network settings can also be used to distribute I/O configuration. With the View →with DP Slaves/IO Devices on the network to browse displays or hides the DP Slave. In the network window, select that you want to configure from the DP master station. “PROFIBUS DP” under network objects list found in the subdirectories and DP Slave station, drag it to the network window, fill in the Properties window that pops up. Select DP Slave, and then use Edit → Open set the parameters Object to DP Slave. The hardware configuration is started. Now set the user data address, select I/O module or module from the station. If you have previously created an intelligent DP Slave station, you can connect it to a network. Directories in the network object can be “Configured stations (configured workstation)“ find intelligent type of the DP Slave, which together with the DP master station of your choice and drag the network window and then fill in the Properties window pops up (and identical in hardware configuration tool). First select the master or the master station of the slave, with the View → Highlight→ Master System can stress the node configuration DP master system. With the View → Rearrange, can be connected to the optimal allocation of DP DP Slave on the primary station. This entry was posted in plc program and tagged plc, plc basics on September 30, 2016 by arco. Established between the two SIMATIC S7 S7 communication (“communication via aconfiguration connection“). Communication partners are not SIMATIC S7. Note: for programming and debugging, programming the device directly connected online to the MPI network, does not require configuration connection. If you are programming the device reached the configured on other connected nodes on the network, it must be configuration, programming devices of connection: network workstation the double-click to select PG/PC in the object list; in the network window, double click to open PG/PC; select the interface and configure it to a network. Communications connection configuration in the connection table. Condition has created a project with all workstations that need to Exchange data, and has a communications module has been configured to network. CPU container objects in the Connections (connections) indicates that the connection table, double-click on it to start the network connection, as in the project on the network, double-click in the container. The connection configuration, network configuration, select a S7-400 CPU. In the network window is the connection in the lower part of the table (as shown in table 2-1,if you do not see the table, position the mouse pointer on the bottom edge of thewindow, widen the window edge after deformation the mouse pointer). Insert → New Connection or double-click on an empty row to enter the new communication connection. For each “active“ CPU to create junction table. Please note, you cannot create a junction table for S7-300 CPU, S7-300 CPU only as S7 connection in the “passive“ partner. In the “Insert New Connection (insert a new connection)“ in the window “Station (station)“ and “Module (module)“ dialog box, select the communication partners (as shown in Figure 2-6), stations and modules must already exist. This window also determines the type of communication. If you want to set more communication features, activate the check box “Before inserting:display properties (insert: display characteristics)“. All the data connections table includes the configuration connection. If you want todisplay more clearly, select View → View → Display Columns and Optimize Column width. The number of connections associated with the CPU. STEP 7 define a connection IDfor each connection and each partner. When using a communication block in your program, it is necessary to use this definition. You can modify the local ID (the module ID of the connection being opened). If thecommunication block has finished programming, and local ID to define the connection, it is necessary to use this function. Changing partners (communication objects) when the ID, enter the partner connection table changes after the local ID of the CPU (which is local): select the connectionline and choose Edit → Object Properties. If STEP 7 does not enter a partner ID, thenit is a one-way connection (see below). This column displays the connection partner. If you want to save the connection source for a unnamed partners, then in the workstation dialog box, enter “unspecified(unspecified)“. In a one-way connection, communication can only be initiated by a partner, such asS7-400 and S7-300 ‘s S7 communication. Even if S7-300 CPU S7 communication function, or S7-400 CPU with SFB 14 GET and SFB 15 PUT to Exchange data. S7-300 CPU, users without this communication process, handled by the operating system fordata exchange. One-way connection in the “active“ CPU configuration in the connection table, STEP7 to configure “local ID“, just loading the connection on the local workstation. For bidirectional connections, both partners can initiate communication, such as two communication SFB 8 SEND and SFB 9 BRCV S7-400 CPU. As long as the configuration of one of the two partners can be a two-way connection, STEP 7 and then configure “local ID“ and “partner ID“, and generated for two workstations to connect to data. Load for each partner must be given its own connections table. Point to point connections, allowing PTP S7 communication network [3964 (r) and RK 512 program]. PtP (point to point) connection is a serial connection between the two partners. Can be two SIMATIC S7 with appropriate interface device, or CP, or they can be non-Siemens SIMATIC S7 devices and equipment, such as printers or barcode reader. S7, S7 MPI, PROFIBUS or industrial Ethernet network. S7 connection is a connectionbetween SIMATIC S7, including programmable devices and human interfacedevices. Data exchanged through S7 connection, or programming and performing control functions. Fault-tolerant S7 connection for use of industrial Ethernet and PROFIBUS S7 communication network. Fault-tolerant S7 connection is established between the fault-tolerant SIMATIC S7, can also be used on a suitably equipped PC. Software components “SIMATIC NCM” is part of STEP 7, use to set parameters for CP. The following connection types to choose from: FMS, FDL connect connection, ISO transport connection ISO connection, based on TCP, TCP connections, UDP and E-mail connections. Before the actual data transfer, we must establish a connection (initialize). If partners have the ability to specify which device to establish a connection, use check box inthe connection properties window “Active Connection Buildup“ to specify (select connection, and then choose Edit → Object Properties). Configured for bi-directional connection partners can exchange status messages. Ifthe local node operational status message to be sent, activate the corresponding check box in the connection properties window. CPU users in partner program, SFB 23USTATUS for these messages can be received. Connection properties window shows the end of the connection endpoints and connections running network, this is the connection path. If there is a choice of severalsub-networks, STEP 7 the selection order is: industrial Ethernet, industrial Ethernet,/TCP-IP, MPI, and finally the PROFIBUS. Running connect workstations and CPU as the end of the connection Endpoints. Module with communications capabilities in the “Interface (interface)“ is listed, and alsodetermine the frame number and the slot. If the CPU is in the same frame (such as the S7-400 CPU in multiprocessor mode), the display box shows “PLC intemal (PLC)“. In the “Type (type)“, and select the network connections run. For example, if two partners is available in the same “MPI” on the network, and on to a PROFIBUS networkare “Type. (Type) “is specified as“ MPI “. You can now change the description “PROFIBUS” STEP 7 will automatically change the other settings. In the “Address (address)“see the MPI or PROFIBUS address of the node. To belong to a different Exchange data between two S7 SIMATIC project module, enter in the table for this connection partners “unspecified (unspecified)“ (in two projects for the local workstation). Verify that the connection data in the two projects together (STEP 7 does not test), save and compile the connection data is loaded into the local workstation for each project. If the project went on to become a part of multiple projects and its connecting partners in a project of this multiple item, select “In unknown project (unknown)“ as theconnection partner, and then in the Properties window, enter the connection nameestablished (refer to). Prerequisites for configuration, this connection is S7 workstation project exists as anobject in a container, and you have workstation characteristics will be S7 workstation–connected to the network (such as network configuration, select workstation, useEdit → Object Properties in the “Interface (interface)“ tab on a workstation connected to the network of hope). If your programming device is connected to a network, it is able to reach all the other nodes on the network. For example, a connection point for all S7 workstation that is connected to an MPI network programming and debugging. If another network (such as PROFIBUS) attached to an S7 station, programming devices can reach the workstations on the network. The prerequisite of this is network workstation with a routing of the conversion function, that is, to guide the transformation of message framing. In the network configuration when compiled, automatically convert network workstation generates a routing table that includes all of the necessary information. All communication partners must be in a S7 project of equipment in the network configuration, and they must be provided about which networks can reach which workstations and network transformation “knowledge“. If you want to use programmable devices from one connection point to all nodes inthe network, the connection point must be configuration. Enter a “placeholder“, that is, network configuration from the network network object in the directory PG/PC workstation. In the programmable devices on each network you want to connect, forPG/PC configuration. At run time, the programming device is connected to a network, and then select Assign PLC → PG/PC, the programming interface of the device changes to network configuration settings. 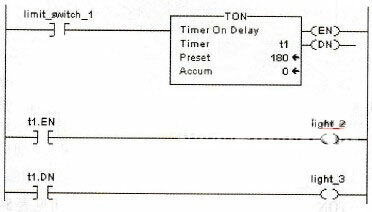 Prior to the programming device disconnected from the network,select Undo PLC → PG/PC Assignment. If you want the programming did not include a required project online, S7 network ID is required when entering the network. The ID consists of two numbers: the project number and subnet number. Can get the network number in the network configuration: select the network, and then in the “General“ tab, select Edit → Object Properties. To activate a connection, you must save and compile the connection table is loadedinto PLC (all the all loaded into the table “initiative“ in the CPU). Do the above conditions: the user is already in the network window, and the connection table is visible. Programming device is a node in the network, with communication capabilities that will be loaded into the table module is also on the network. All child nodes of the network node is assigned a separate address. Connected data modules will be loaded in STOP mode. Programmable module you want to remove all the connections, just an empty tableto the relevant module is loaded. Compiled connection data Blocks (block) container System data (System data) partof it. CPU to start after system data linking the data to the module with communications capabilities. Online through the MPI runtime, programming device does not require additional hardware. If you want to connect the PC to the network or to connect the programming device to the Ethernet or PROFIBUS, needs the appropriate interface module. InWindows Control Panel (Windows Control Panel) in the “Set PG/PC Interface (sets the PG/PC interface)“ tool to the module set parameters. When opening multiple projects with the network configuration tool, a window is displayed, Windows are multiple items in the project. If opening is included in multiple items in a project and select View → Multiproject, you can also get this window. This window shows the multiple items in the project and has grouped network between projects. Double-click Select items can be further processed. Projects typically include the communication links between the variousworkstations. If the project as a single multiple–project, or a project includes multiple projects already in existence, and these connections can be a mix and match. First, MPI, PROFIBUS and industrial Port-au-Prince network together, if is going to be a combination of subnet have the same subnet ID. Select subnet, network configuration tools, you can use Edit → set Object Properties. With the Multiproject File → → Adjust Projects, you can call in the SIMATIC ManagerWizard to open multiple projects, which can support the match. In the network configuration, use Edit → Merge/unmerge subnetworks → … Get dialog window. Select the network type, click on “Run (run)“ button, get multiple subnet corresponding to the selected type in the project. You can now select items of each network into multiple networks. You can use a dialog box to remove networks from the network. In a multiple projects, you can create several different types of networks. This Subnetwork properties determined by the first to add subnet, or by clicking “Select (select)“button the selected networks. Click “OK” or “import (input)“ responds to the set. Aspart of the multi network subnet, use different symbol recognition in the SIMATICManager. Configuration in a separate project and connection to communicate with another partner in the project, can be a combination of multiple projects. If the configurationin a separate project when, in the window “Insert new connection (insert a new connection)“ select partner “In unknown project (unknown)“, in the window “Properties-S7 connection (characteristics of-S7 connection)“, enter connection name (reference).In different projects in connection with the same connection name can be automatically combined. In the SIMATIC Manager, if you click the “Merge connections (combination connection)“ and “Execute (execute)“, can be represented by a match Wizard to complete this task. With the same connection name (reference) connected together. In the network configuration, can also be combined with the “undefined partner“ connection. Select Edit → Merge connections, get a fully configured the connection dialog box. In each “Connections without connection partners (not connected with connection partners)“ window, select a connection, and then select “Possible connection partners (possible connection),“ then click “Assign (distribution)“. The assigned connection listed in the lower window “Assigned connections (allocatedconnection)“, and then “Merge (combo)“ combined connection. Assigned to the connection attribute is local to the project that is currently open module feature, whencombined can modify connection properties. Network mix after the configuration items. Its connections within the process and project the same increase is the partner of the project description. In the S7-200 CPU, the counter for the accumulated number of pulses from the input terminal or internal components sent. It has up counter, down counter and up / down counter 3 types. Due to limitations counter frequency scan cycle, when the need for high-frequency signal can be counted when a high frequency counter (HSC). There are two forms of addressing the counter. ● the current value of addressing: 16-bit signed integer stores the accumulated number of pulses. S7-200 converts an analog value (such as temperature or voltage) into a word-length (16-bit) digital value. You can use the area identifier (AI), the data length (W) and the starting byte address to access these values. Since analog inputs of a word, and the even-number bytes (such as 0,2,4) started, it must be an even number byte addresses (such as AIW0, AIW2, AIW4) to access these values. Analog input value is read-only data, the actual accuracy analog conversion is 12.
s7-200 PLC work at minus 20 degrees? (1) programming and engineering tool for programming and engineering tool includes all PLC-based or PC for programming, configuration, simulation and control tools needed maintenance. STEP 7 standard package SIMATIC S7 for S7-300 / 400, C7 PLC and SIMATIC WinAC PC-based control product configuration programming and maintenance of project management tools, STEP 7-Micro / WIN is running on a Windows platform S7 -200 series PLC programming, on-line simulation software. (2) PC-based control software WinAC PC-based control systems allow the use of a personal computer as a programmable logic controller (PLC) run user programs run in Windows NT4.0 operating system installed on the SIMATIC IPC or any other commercial machine. WinAC offers two PLC, one is software PLC, on the user’s computer to run as a Windows task. Another is the slot PLC (install a PC card in the user’s computer), it has all the features of the hardware PLC. 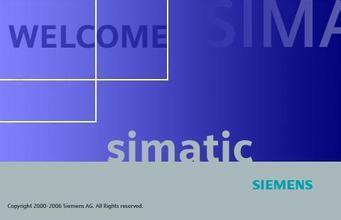 WinAC and SIMATIC S7 series processor is fully compatible with its unified programming SIMATIC programming tools (eg STEP 7), programmed to run on either WinAC, also runs on S7 series processors. (3) human-machine interface software HMI automation software for users to project human-machine interface (HMI) or SCADA system that supports a wide range of platforms. HMI software, there are two, one is applied to the machine-level ProTool, the other is applied to monitor the level of WinCC. ProTool for most HMI hardware configuration from the operator panel to a standard PC can be used to integrate effectively complete the configuration of ProTool in STEP 7. Configuring ProTool / lite for text display, such as: OP3, OP7, OP17, TD17 like. ProTool / Pro is used to configure all the standard PC and Siemens HMI products, ProTool / Pro not only configuration software, which runs Windows version is also used to monitor system platform. The usual method is to use heartbeat, defined a bool, HMI fixed point set the frequency, PLC receives the point after ON signal is reset. If a period of time, for example, do not receive the points for the ON signal within 5s, it is considered Tongxu interrupted.plc to the memory clock of bytes transmitted to the screen, this screen script-byte value assigned to another address within a plc, plc judge then returned within two bytes of the scan cycle is the same, if the communication is interrupted as described . For example, look at Figure, follow these steps:1, the establishment of a data block DB1 in the PLC, which provided two switch “PLC seconds switch” and “man-machine switch response”2, human variable connecting these two variables3, the display unit in the property “PLC seconds switch” variable —- event —- add value change “is negated bit” so that “in response to human-computer switch” variable with “PLC seconds switch” change change .4, PLC programming block, let ‘s PLC switch “reverse every 0.5 seconds, and then let TON delay instruction” man-machine switch response “no action within 1 second output man-machine communication failed because the man-machine communication after abnormal “man-machine switch response” will change no longer occurs. This entry was posted in plc program and tagged Learn PLC programming, plc basics on August 12, 2016 by arco. EMF (voltage) under the path of the currents flowing through the circuit. Usually consists of a power supply, load and switch it into three parts. The magnitude and direction of the current flowing through the circuit the circuit does not change with time, called the DC circuit. The magnitude and direction of the current flowing through the circuit circuit over time, called the AC circuit. Magnetic circuit is what does that mean? When you iron core coil, magnetomotive force generated by the magnetic flux, mainly concentrated in the path specified by the core, this path is called the magnetic circuit. By excitation of magnetic circuit of direct current, called the DC magnetic circuit, by the magnetic circuit of the alternating current excitation, called AC magnetic circuit. Circuit magnetic circuits have a lot in common with the place. In the circuit, current is the electric potential generated, in magnetic circuits, magnetic flux is produced by MMF. In the circuit, current through the resistance will cause a voltage drop, in the magnetic circuit, have a magnetic flux through magnetic resistance pressure drop. In the circuit, use Ohm’s law to represent the relationship between current, resistance and voltage drop, in magnetic circuits, and circuit magnetic circuits similar to Ohm’s law for magnetic flux, the relationship between reluctance and MMF. (1) current representatives charge mobile, which does not represent any particle moving. Magnetic flux through the HIV resistance, unlike the current through the resistor that consume energy, maintaining a constant magnetic flux does not require any child. Therefore, you can have circuit breaker in the circuit, not on the magnetic circuit in the circuit breaker, as long as the presence of magnetomotive force, always gives rise to a corresponding magnetic flux, magnetic flux is continuous. (2) in a circuit, electrically conductive material conductivity is generally larger than the conductivity of the insulation material of several thousand or more, so the leakage current of the circuit is very small, can be ignored. In the magnetic circuit and the permeability of ferromagnetic materials is generally higher than non-permeability of ferromagnetic materials thousands of times larger or smaller. Therefore, the phenomenon of magnetic flux leakage in magnetic circuit is much more serious than the leakage in the circuit. This makes the calculation of magnetic circuit with large errors, unlike circuit can be calculated more accurately. (3) in the circuit, when there is no EMF and current is equal to zero. And when no magnetomotive force of magnetic circuit due to hysteresis, always more or less residual magnetism. (4) due to ferromagnetic materials have magnetic saturation, so the reluctance of the magnetic circuit is nonlinear, and General circuit resistance is linear resistors are not the same. Therefore, the magnetic circuit Ohm’s law generally only used for a qualitative analysis of the magnetic circuit. This entry was posted in plc program and tagged Learn PLC programming, plc, plc basics on July 31, 2016 by arco. What is a PLC? PLC What does it mean? Many beginners to abbreviation (PLC) to worry about. PLC is what, what is a PLC? What does PLC mean? Is actually very simple, official definitions of same, I understand. What‘s PLC? PLC is an intelligent controller, is a computer (PC). PLC is a programmable logic controller. PLC programmable controller is: English universal Programmable Logic Controller PLC, in Chinese known as programmable logic controllers, is defined as a number–crunching operation electronic system, specially designed for applications in industrial environment. It uses a programmable memory for its internal stored procedures, and perform logical operations, sequence control, timing, counting and arithmetic operations, such as user-oriented instruction, and through digital or analog inputs/outputs control of various types of machinery or production processes. In the 1960 of the 20th century United States began rolling out programmable logic controllers (Programmable Logic Controller,PLC), used in place of the traditional relay control devices, since then, rapid development of PLC technology, has been widely used throughout the world. PLC functionality has been improved. With computer technology, signal processing, control network technology and user demand continues to improve, PLC functionality and constantly improve, PLC in switch processing based on the analog processing and motor control functions. PLC today is no longer limited to logical control, motion control, process control and other fields also plays a very important role. PLC as a discrete control product of choice for business, PLC has been rapid development in in the 1980 of the 20th century to 90, PLC using the annual growth rate of 20%~30% the world. As the degree of plant automation improvement and PLC continues to expand the market base, and PLC in industrial growth slowed in developed countries in recent years. However, PLC in developing countries such as China is growing very rapidly. Comprehensive information, in 2004 the global PLC for about $ 10 billion of sales revenue, occupied a very important place in the field of automation. PLC is troubled by imitating the original relay control theory developed in the 1970 of the 20th century only switch logic control PLC, first apply the automobile manufacturing industry. Its stores perform logical operations, sequence control, clock, counting and arithmetic operation instructions and through digital input and output operations to control various types of machinery or production processes. User prepared controls expression of the technological requirements of the production process, in the user program memory and advance into the PLC. Article-by-article implementation of the stored procedure returns the running in order to complete the process the requested operation. PLC program indicates that the program step to store addresses in the CPU counters, while the program is running in the process every step of the implementation of the counter automatically plus 1, from the initial step in the process (step ordinal of zero) are performed to the final step (usually the END directive), and return to the starting–step cycle operation. PLC each the time required to complete a cycle operation called a scanning cycle. Different types of PLC, circular scanning cycle between 1 microsecond to dozens of microseconds. PLC ladder diagram programming, in terms of solving logic, showed rapid advantage of microsecond magnitude 1K logic programs to calculate less than 1 millisecond. Switch to handle all inputs as 16-bit (32-bit) for an analog. Use another CPU to complete large PLC analog operation. Controller for PLC results. Same number I/O systems with PLC than with DCS, its cost is lower (around can save about 40%). PLC do not have dedicated stations, which is common with software and hardware, so maintenance costs are much lower than DCS. A PLC controller, you can receive thousands of I/O points (up to a maximum of more than 8,000 more I/O). If control is rarely equipment chain, loop, PLC is appropriate. PLC as a result of monitoring software, in terms of enterprise management information system design, easier. At present, the PLC has been widely used in iron and steel, petroleum, chemical industry, electric power, building materials, machinery manufacturing, automobile, textile, transportation, environmental protection and cultural and entertainment industries, usage can be broadly divided into the following categories. This is the most basic and most widely used PLC field, it replaces the traditional relay circuits, logic control, order, control, both for single equipment control, can also be used for fleet control and automation lines. Injection molding machine, printing machine, book machine, combination machines, grinding machines, packaging line, plating lines and so on. In the industrial production process, there are many continuous changes, such as temperature, pressure, flow, liquid level and speed are analog. To make analog programmable controllers, you must implement the analog (Analog) and digital (Digital) between the a/d and d/a conversion. PLC manufacturer supporting the production of a/d and d/a conversion module, programmable controller for analog control. PLC used in circular or linear motion control. Configure from a control authority, earlier used to switch I/O module is connected directly location sensors and actuators, now generally use a dedicated motion control module. Drive stepper motors or servo motors for single or multi-axis position control module. Major PLC manufacturers products in the world almost all movement control functions are widely used in all kinds of machinery, machine tool, robot, elevator and so on. Process control is the temperature, pressure, flow, and other analog closed–loop control. As industrial control computer, PLC can prepare various control algorithms, complete closed loop control. PID regulation is generally used by closed–loop control system for more regulation. Large and medium PLC have PID modules, several small PLC also has this function module. PID is running a special PID program. Process control in metallurgical, chemical, heat treating, boiler control and so on have a very wide range of applications. Modern PLC has a mathematical operation (including matrix operations, functions, operations, logical operations), data transfer, data transformation, sort, table, operations and other functions, you can complete the acquisition, analysis and processing of the data. These data can be compared with reference values stored in the memory, complete some control operations can also use intelligent communication delivered to the other device, or will they publish the table. Data are generally used for large scale control system, if no control of flexible manufacturing systems can also be used for process control systems, such as paper-making, metallurgy, some major control systems in the food industry. PLC communications PLC‘s communication and communication between PLC and other smart devices. With the development of computer control, factory automation networks has been developing rapidly, the PLC manufacturers attach PLC communication function, have launched their own network system. Recent production of PLC communication interface, traffic is very convenient. What kind of brand of PLC high market share. There is no agency can research data publicly available, and be recognized by everyone. Various industry players share different. Companies in different countries are also Asian companies Mitsubishi Omron LG lot. Siemens AB European enterprises Schneider is better than more. As a qualified electrical engineer: Mitsubishi, Siemens is an essential skill. PLC is working. Mastery Learning is easy. Programmable logic controller (PLC) is a is widely used in industrial control components. However, PLC application and programming talent shortage has become the bottleneck of development of automatic control in China. By PLC programmable logic controller programs enable students to acquire the programmable controller‘s working principle and the design method of PLC control system of hardware and software, you can write complicated PLC programs for persons engaged in the PLC control system design, debug, and lay the Foundation for reform. Independent responsibility for design and development of related projects. Upgrade allows you to get an electrician to a real engineer! Learn PLC programming is not difficult. Some beginners spend a lot of time in theory, results in half down or did not understand PLC, they just lack the PLC experience, just some ladder write, program, download, debug operations, increase the sensibility of the PLC, will gain control of PLC technology soon. Start can start learning a brand PLC, because all the PLC principle is the same, mastered a PLC as soon as take a look at the manual to be able to start using the. Beginners can make up a simple ladder diagram, such as and, or, the output contacts, run in the PLC of the machine. Success will increase your interest in learning, and confidence. Then main functions by using a PLC, such as high speed counter, you can use the pulse output of the PLC itself received high speed counter input, download their ladder diagram, open the variable Watch window, run the program and observe the value of count is correct. After such a practice, you basically know what PLC can do, can do it in a practical industrial application follow. 3. Wire cross section, lines get to know a few square, what‘s the line on what appliances and motors, for example, with 4 line, 3 main line 1 ground. Shielded cable from the inverter. 6. To be done, be humble, and impossible to you everything. 3. Electric market to mature, good and bad, to be distinguished, such as PLC bought 2 lots of 40 points of how to judge whether it is good? Thermocouple and RTD are contactless temperature measurement of temperature measurement, although its the same, it is measuring the temperature of a body, but their principles and characteristics are different. First of all, introduce the thermocouple. The temperature of thermocouple temperature measurement is the most widely used devices, whose main features are wide temperature range, stable performance, and simple structure, dynamic response, better able to remote 4-20mA signal, easy to control and centralized control. Thermocouple temperature measurement principle is based on the thermoelectric effect. Two different conductors or semiconductors into closed loop, when the temperature at two points at the same time, the loop will be produced in the thermoelectric power, a phenomenon known as the thermoelectric effect, also known as the seebeck effect. Thermoelectric power in a closed circuit, there are two potential: the difference in electric potential and the contact potential. Temperature difference electromotive force is the same at both ends of the conductor electric potential arising from temperature, different conductors with different electron densities, so their potential is not the same and contact potential by definition refers to two different types of conductor contact, because of their Electron density is different, so there‘s a certain amount of electron diffusion, when they reach a certain balance formed by electric potential. Contact potential depends on the size of conductors of two different materials, as well as their contact point temperature. Currently international Shang application of thermocouple has a standard specification, international Shang provides thermocouple is divided into eight a different of points degrees, respectively for b, and r, and s, and k, and n, and e, and j and t, its measurement temperature of minimum can measuring lingxia270sheshidu, highest can up 1800 degrees Celsius, which b, and r, and s belongs to Platinum series of thermocouple, due to Platinum belongs to your heavy metal, so they and was called precious metals thermocouple. While the rest of the then known as cheap metal thermocouples. Structure there are two kinds of thermocouple, ordinary and sheathing. Common thermocouple thermoelectric poles, insulating tubes, cannula and junction boxes, and other components, and sheathed thermocouple the thermocouple wire, insulating material and metallic cannula combinations of the three Assembly, after drawing a solid combination. But signals of thermocouple needs a special wire to pass the wires we call compensating wire. Requires different different thermocouple compensating conductor, its main role is to connect to the thermocouple, thermocouple reference junction away from the power supply, so that the reference junction temperature. Compensating cables are divided into two types of compensation and extension, extension lead the same chemical composition and compensation of thermocouple, but in practice, extend the wire and thermocouple for is not the same as the metal, and thermocouple wire with the same Electron density is usually used instead. Compensation wire and thermocouple wires are generally simple, positive connection of thermocouple compensating wire red wire, while the anode is connected the rest of the colors. Most general material of compensating wire made of copper-nickel alloy. Second, we introduce thermal resistance, thermal resistance are widely applied in industry, but due to the temperature range of the application subject to certain restrictions, RTD temperature measurement principle is based on the conductor or semiconductor characteristic of resistance change with temperature changes. Its advantages are many, can also transfer electrical signals, high sensitivity, strong stability, interchangeability, and accuracy is good, but need the power incentive, not instantaneous temperature changes. Industrial thermal resistance Pt100,Pt10,Cu50,Cu100, platinum resistance temperature measurement range is generally lingxia200-800sheshidu, copper heat resistance is lingxia40dao140sheshidu. The distinction between RTD and Thermocouple type, but he did not go to compensating cables, and cheaper than thermocouples. First, the nature of the signal, heat resistance was resistance, temperature changes, have a positive or negative value change in resistance and thermally coupled, is the induced voltage changes, he changes with changes in temperature. Second, two sensor for detecting temperature range are not the same, General testing heat resistance 0-150 degree temperature range, maximum measuring range of up to 600 degrees (of course you can test negative temperature). Thermal coupling temperature of 0-1000 degrees detection range (or even higher), the former is the low temperature testing, which is high temperature detection. Third, from the material, the thermal resistance is a metallic material, with changes of temperature–sensitive metal, thermal coupling is bi-metals, both of two different metals, due to changes in temperature, electrical potential difference at two different ends of the wire. Four, corresponding to the PLC RTD and thermocouple input module is not the same, this sentence is not a problem, but in General PLC access 4~20mA signal directly, RTD and thermocouple transmitter to access PLC. If access transmitters for use in DCS, then you don’t have to! Thermal resistance is the RTD signal electric Europe is TC signal! Five modules, the PLC also has thermal resistance and thermocouple modules can be directly input and thermocouple signals. Six, a thermoelectric couple j, t, n, k, and s type, are more expensive than resistance, there are cheaper than resistance, but compensating cables are included, high cost thermocouples. Thermal resistance is resistance signal, thermocouple voltage signal. Seven, heat resistance temperature measurement principle is based on the conductor (or semiconductors) measured by the variation of resistance with temperature measurement range is negative 00~500du, commonly used are platinum resistance thermometer (Pt100, Pt10), copper Cu50 (50-150 degrees). Thermocouple temperature principle is based on thermoelectric to measurement temperature of, common of has Platinum rhodium–Platinum (points degrees, s, measurement range 0~1300du), and nickel chrome–nickel Silicon (points degrees, k, measurement range 0~900du), and nickel chrome–Lala (points degrees, e, measurement range 0~600du), and Platinum rhodium 30–Platinum rhodium 6 (points degrees, b, measurement range 0~1600du). ① high measurement accuracy. Thermocouple direct contact with the object being measured, not under the influence of medium. ② wide measurement range. Commonly used heat measurements from -50~ 1600 c can be continued, some extraordinary thermocouple minimum measurable–269 ℃ (gold in FE-NI-CR), up to a maximum of 2,800 (such as tungsten–rhenium). ③ simple structure, easy to use. Thermocouples are usually made up of two different kinds of wire, and are not subject to size restrictions and opening, outer protective casing, it is very convenient to use. The two conductors or semiconductor a and b of different materials welded together to form a closed loop. When the conductor a and b two attachment points 1 and 2 when there is a temperature difference, between EMF and current in the circuit forming a size, a phenomenon known as the thermoelectric effect. Thermocouple is used this effect to work. From January 1, 1988, the thermocouple and thermal resistance according to IEC international standards of production, and specify s, b, e, k, r, j, t, seven kinds of standardizing the thermocouple in a unified design-type thermocouple. ④ cannula should ensure full heat and harmful media isolation. Because the thermocouple materials are generally more valuable (especially when using precious metals), and temperature measurement points to a very far distance from meter to save thermocouple materials, reduce costs, often using compensation wires of thermocouple cold end (end) extends to the relatively stable temperature control, connected to the instrument terminals. It must be noted that thermocouple compensating wire extends only thermoelectric, thermocouple cold-end to move to the control room on the instrument terminals, which itself does not eliminate the cold junction temperature changes affect the temperature, without compensation. Therefore, other amendments should be used to compensate for the cold end temperature t0 ≠ 0 ℃ temperature effects. When using a thermocouple compensating wire must focus on model matching, polarity cannot be wrong, compensation lead wire and thermocouple connections-side temperature should not exceed 100 degrees centigrade. Temperature measurement instruments can be classified by temperature measurement methods–contact and non–contact two categories. Generally contactless measuring instrument instruments are simple and reliable, high precision but because of temperature measurement component fully with measured medium needs to be hot to make King Kong, need time to reach thermal equilibrium, there are temperature delays, as well as by the limit of high temperature resistant material, cannot be applied to high temperature measurements. Non-contact type instrument temperature is through hot radiation principle to measurement temperature of, temperature components not needed and was measuring media contact, temperature range wide, not by temperature ceiling of limit, also not damage was measuring objects of temperature field, reaction speed General also compared fast; but by objects of launches rate, and measurement distance, and dust and water, outside factors of effect, its measurement errors larger. Thermal resistance is most commonly used as a low-temperature zone temperature detector. Its main feature is a high precision, stable performance. Platinum is the resistance of the measuring accuracy is the highest, it is widely used in industrial temperature measurement, and was made the standard reference instrument. Heat resistance temperature measurement is based on the metal conductor resistance value and increases with the temperature of this feature for temperature measurement. Thermal resistance are made from pure, Platinum and copper is the largest at present and, in addition, has now begun using meadow, NI, MN and RH material thermal resistance. Armoured thermal resistance is determined by the temperature of the components (resistors), lead, insulation material, combination of the solid body of the stainless steel casing diameter for PHI 2~ 8mm, minimum diameter of mm. Compared with ordinary thermal resistance, which has the following advantages: ① small size, internal air–gap, on the thermal inertia, measure lag small; second, the mechanical properties and good resistance to vibration, impact c can bend, facilitating the installation II and long service life. Surface heat resistance temperature element processed by the extraordinary resistance of wires around the system, against the thermometer end, its structure is shown in Figure 2-1–8. It compared with the axial thermal resistance, to reflect more accurately and quickly end the actual temperature being measured, suitable for measuring the surface temperature of bearing and other parts. Flameproof thermal resistance junction box through extraordinary structure, explosive gas mixture inside the housing due to spark or arc and explosion effects and limitations within the junction box, site not hyper-explosion. Flameproof thermal resistance can be used in Bla~B3c-level explosion hazardous area temperature measurement within the area. Armoured thermal resistance is determined by the temperature of the components (resistors), lead, insulation materials, a combination of stainless steel casing of a solid body, it is generally the outside diameter of φ 2~ PHI 8mm, minimum diameter of mm. Surface heat resistance temperature element processed by the extraordinary resistance of wires around the system, against the thermometer end, compared with axial thermal resistance, to reflect more accurately and quickly end the actual temperature being measured, suitable for measuring the surface temperature of bearing and other parts. Siemens S7-300PLC 3 racks can be extended, count of CPU unit No. 0, altogether 4 rack, 32 modules, right? I have a question, can I extend 4 rack, rack, count the No. 0/5, with 20 modules? 4 153 connection 5 rack, can you? 2, for example, your CPU CPU 315-2 PN/DP features: maximum I/O capacity of 16,384 for digital input and digital output 16,384, 1024 analog channel inputs and 1024 outputs. Distributed i/o are included, the sum total of all the years. Maximum number of expansion rack for 4, including a No. 0 rack. One of up to 8 modules, I/O point number as long as you are within range. 3, No. 0, machine frame, a total of 5, with 20 modules, is not acceptable. The key: expansion rack models are IM361, hosts 3rd slot with IM360, altogether 4 expansion can be achieved. ET-200M is SIEMENS S7-PLC distributed I/O, which is a remote I/O stations, the various modules can be used S7-300. Its main feature is the remote I/O (including analog) through the communication lines to the host, this saves a lot of signal cables, makes the clear structure, easy to maintain. 6ES7 6ES7 153-2BA02-0XB0 and 153-1AA03-0XB0 in the structure is the same, so with the PROFIBUS connector interface is the same, same connector for two types of modules can be inserted, the only difference is that the latter more standard I/O module can be inserted. This entry was posted in plc program and tagged Learn PLC programming, plc basics on July 31, 2016 by arco. S7-300 in order to meet the large and middle scale control system, and design more modular. S7-200 series is integral, CPU module, the I/O module and the power supply module in a module, called CPU modules and S7-300 series, from the power supply, I/O,CPU and the rail is a separate module. Actually S7-200 series can be extended, and some smaller systems do not require additional custom modules, S7-200 series modules also have signaling, communication, control and other modules. S7-200 series has no concept of machine, called Guide; in order to facilitate control, S7-300 series module was mounted on a rail, called a rack, is an extended frame corresponding to the Central rack, rack also is reflected in the software. S7-200 series on the same rack module by module directly above the data connectors contacts; and the S7-300 are at the bottom of the u–bus connector. S7-300 series I/O input is connected to the front connector on the, on the module front connector attached to the signal, and is not directly connected to I/O signals on the signal module so that you can replace signaling modules without rewiring. S7-300 series 2DP CPU with PROFIBUS interface. S7-300 modular design in large and medium control system greatly facilitates the maintenance and all aspects of design and installation. S7-200 series with STEP7-Micro/WIN40sp6 software S7-300 use STEP7 software. S7-200 series of programming language has three species: statement table (STL), and trapezoidal figure (LAD), and function block figure (FBD); S7-300 series of except this three species outside, also has structure of control language (SCL) and graphics language (S7 graph), which SCL is a senior language, senior language can more convenient of solution customer of proprietary problem, improve has program implementation efficiency, shortened has program implementation time. S7-300 software features provide a number of blocks of data to each functional block (Function Block-FB), called Instance. S7-300 cannot be custom Organization Block, a sub-routine and Interrupt routine, the system can call it OB1, FB-Function Block and FC-Function for other edits, and other predefined system, System s to them (SFB and the SFC) defined his identity. S7-300 belonged in the Siemens PLC products: medium and large PLC system, suitable for the control object are generally above 256, 1024 points.